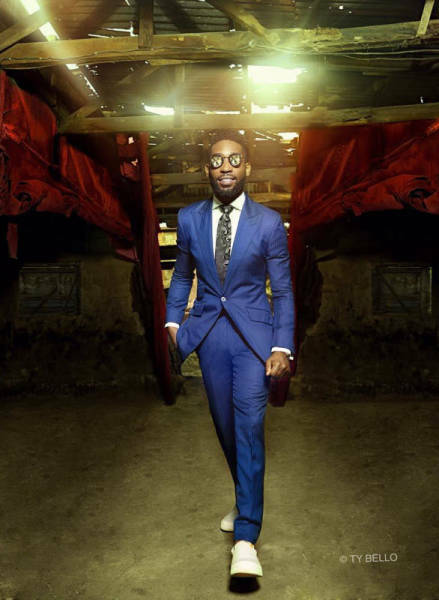 Olajumoke was just walking by when a fashion photoshoot of a pop star Tinie Tempah took place. 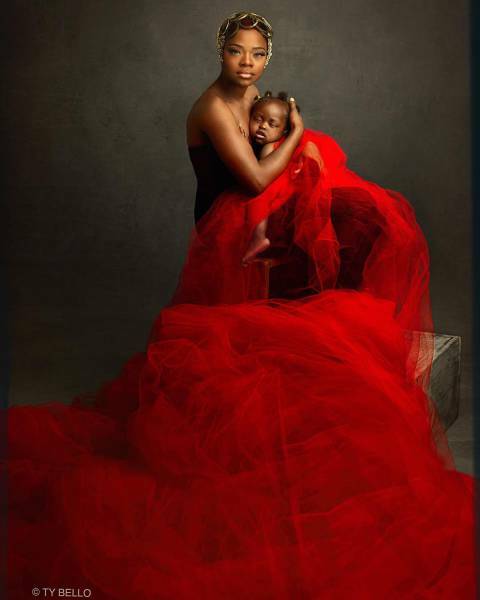 Photographer Ty Bello only noticed her when she was editing photos of the shoot. 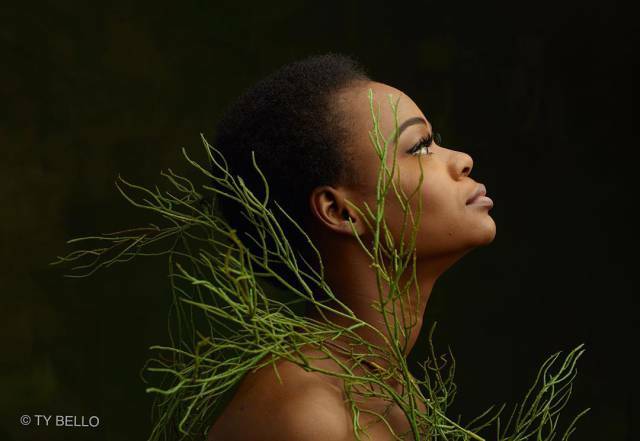 She was very impressed by the picture with Olajumoke and it looked like she really belonged there and was a real model. 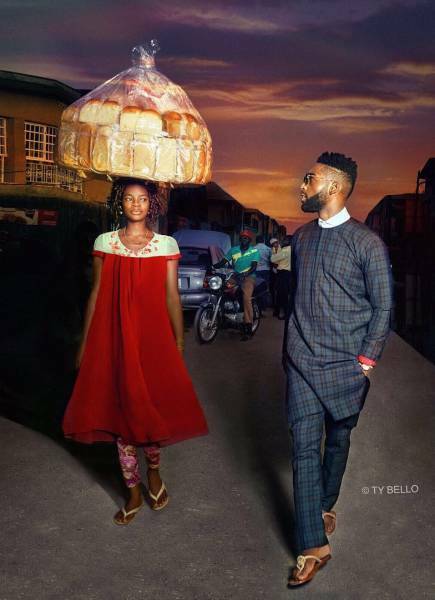 Bello decided to track down the girl. 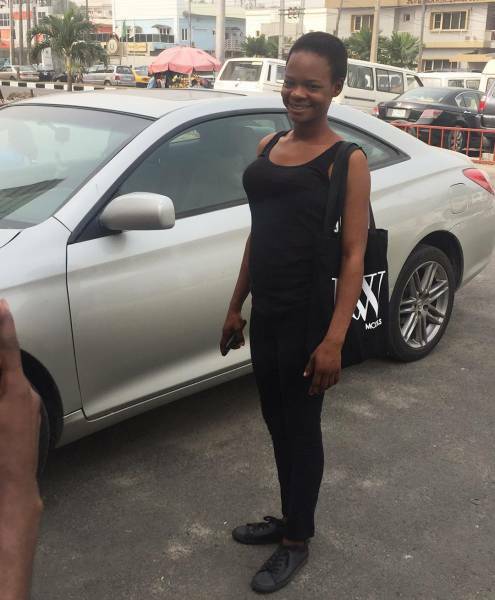 After she found her, she discovered an incredible life story of Olajumoke. 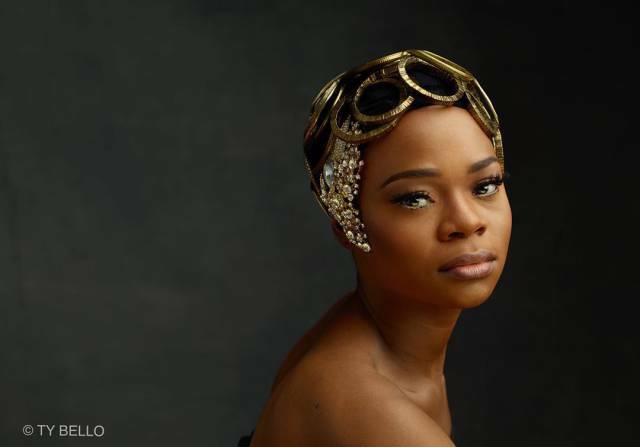 Olajumoke Orisaguna was trained to be a professional hairdresser back in Ire in Osun state. But she and her husband, a slide door installer, didn’t have enough money to make ends meet and to care for their two young children. 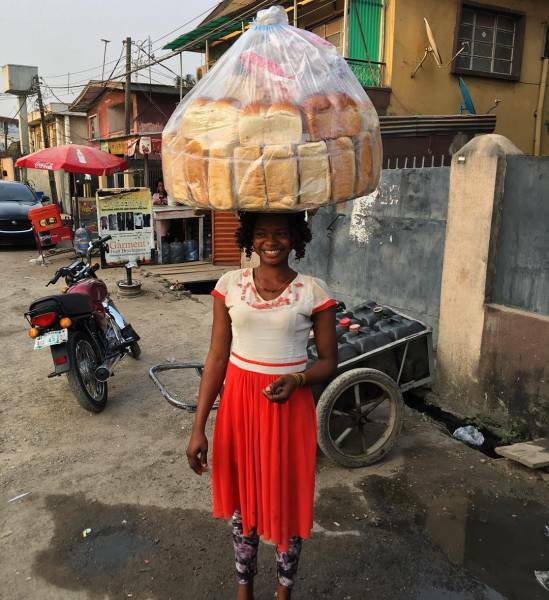 Her distant relative from Lagos had a little bakery and had offered her to become a bread seller there to earn some money. She decided to give it a try and went there with her 14-month-old daughter. However, her husband and older son had to stay in Ire. 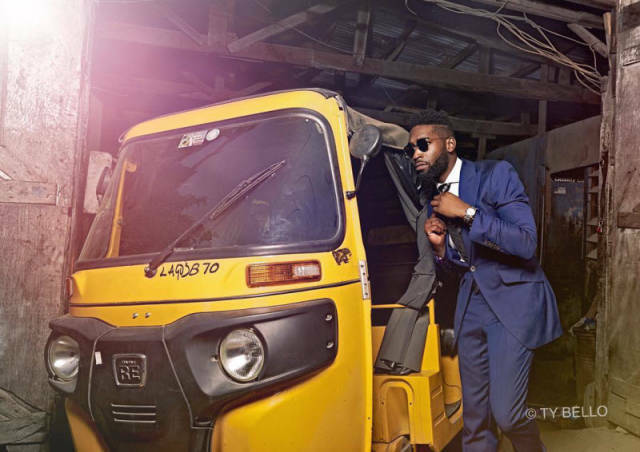 But after the accidental photobomb, Olajumoke’s life took a turn for the better. 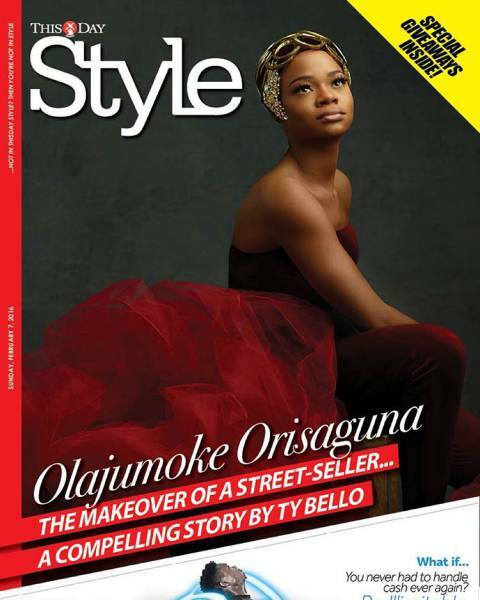 Thanks to many people that followed her story on Instagram and the buzz she generated online, a lot of wonderful things started to happen. 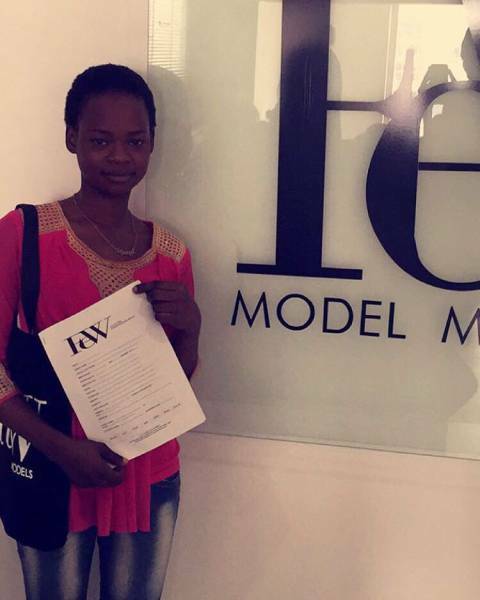 A ‘Make Me Beauty Place’ has offered her an internship as did a famous Lebanese owned hair studio ‘sarisignature.’ She’s signed with a local model agency ‘Few Models‘ and she was also offered the bill for her accommodation, education as well as her child’s to be paid. All of this will make it possible for her and her family to be finally reunited.